The Poison Garden, in Northumberland, boats 100 varieties of venomous plants that could intoxicate and kill anybody. In 1995, Jane Percy, the Duchess of Northumberland, unexpectedly inherited Alnwick Castle and found herself in charge of its sprawling gardens. At that time they contained no more than row upon row of Christmas trees that nobody had touched for many years. Luckily, Percy did much more than just plant roses and lawns. In 1966 she hired Jaques Hirtz, a landscape gardener that had worked in the Tuileries in Paris and together they dreamed up the most eccentric of gardens that today attracts 600,000 visitors a year. But among the labyrinth of bamboo, fountains and the flowerbeds, and behind a steel railing, there is a place that explicitly instructs visitors not to smell or touch the plants of The Poison Garden, which contains 100 fatal species. Inspired by the toxic gardens of Padua, where the Medicis planned the frothing and terrible deaths of their royal enemies, the duchess created this garden in 2005. 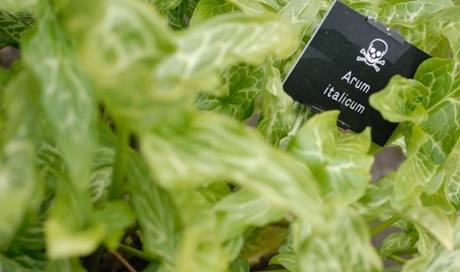 While she selected the 100 varieties that she would eventually plant in Alnwick, she had one categorical requisite: that the plants must tell a story. This meant that the Belladona had to live with the more common varieties of poisonous plants, such as the laurel. “What’s extraordinary about the plants is that it’s the most common ones that people don’t know are killers,” says the duchess. Laurel, for example, which is so common in gardens around the world, has a nasty side. When the branches are cut the toxic vapors can cause fainting. 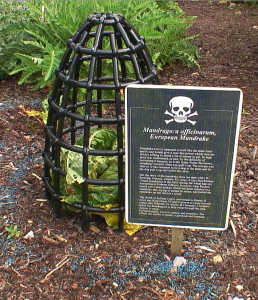 But the Poison Garden also has ancient and highly dangerous poisons, even to their scent, and visitors must therefore not even pause to admire some of the species for very long. Among the poisonous plants are the famous strychnine (which killed Socrates), the castor oil plant (Ricinus communis), and the Brugmansia or “angel’s trumpet” that, before killing you, is a magnificent aphrodisiac (and whose pollen Victorian ladies added to their tea to induce a psychedelic effect). 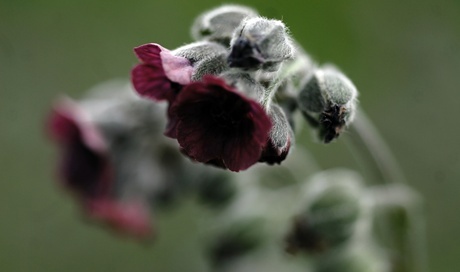 There are also narcotic plants in the garden such as poppies, hallucinogenic mushrooms, cannabis and tobacco. Many of the species needed government permits due to the real danger they pose. The garden is protected by guards 24 hours a day. The majority of the plants are, in addition to being lethal for human beings, powerful aphrodisiacs, and there are beautiful, common and even unpleasant ones. The duchess seeks to educate children without them realizing they are being educated and generate a narrative that is wholly different from what we are used to in gardens that are open to the public, and which are all very similar to each other. It is a way of creating awareness in the visitor so that they do not forget that in plants there is life, journeys, and also death.